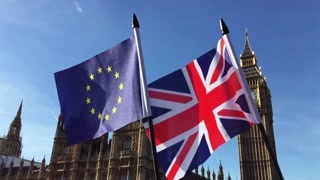 The British government issued further guidance regarding the Brexit and Eurid. Click here to view the guidance and scenarios. It seems very likely the two scenarios posted below are the most likely outcome as we quickly move towards the deadline of 29th of March 2019. (1) If the UK exits the EU and becomes a temporary member of the European Economic Area (EEA) there will be no issue until the duration of such membership. (2) If however, it turns out to be a “hard Brexit” or “no deal Brexit” than registrars are no longer in a position to service UK registrants for .EU domain names. Please read the below article if the situation is applicable to you as a reseller. I do not think it is time to sound the alarm yet, but some caution and some thinking ahead of the Brexit might be advised when it comes to .EU domain names and Brittish registrants. Organizations that are established in the United Kingdom but not in the EU and natural persons who reside in the United Kingdom. The above-listed persons or organizations will no longer be eligible to register .eu domain names or, if they are .eu registrants, to renew .eu domain names registered before the withdrawal date. Accredited .eu Registrars will not be entitled to process any request for the registration of or for renewing registrations of .eu domain names by those undertakings, organizations, and persons. Measures are effective as from 1 January 2021 or, in case that there was no withdrawal agreement in force prior to 30 March 2019, as from 30 March 2019. Negotiations are ongoing with the United Kingdom and the EU to come up a withdrawal agreement. At the moment there is little information to go about. The latest status update can be located here, we urge our customers to check this website often for more information. If the EC really wants to push through remains to be seen, given the current status between the UK and the EU it looks pretty grim. It is advisable to contact high profile customers (if you have them) who have a .EU domain name and match the criteria mentioned earlier on. A possible solution for Brittish registrants is to update the domain names via their European (non-UK) address (if available). We highly advise against the use of proxy solutions as they are in violation of Eurid’s terms and conditions. One can expect that after the Brexit, Eurid might monitor affected domain names and enforce their terms and conditions. Using incorrect registrant information is always ill-advised and a violation of Registrar and Registry terms and conditions.